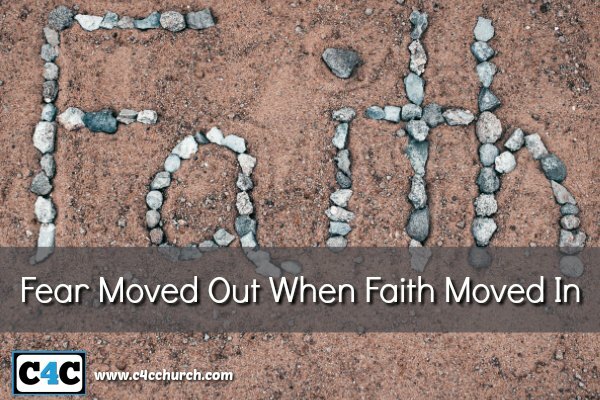 Fear Moved Out When Faith Moved In | Champions 4 Christ Inc. Growing up I was taught to be fearful of what would happen when I did bad things. At a very early age one of my first fears was a person. His name was the boogeyman. I was taught fear from my mom and other family members. At night time I feared the darkness because that’s when the boogeyman man would come for me. It was at night time when I would be reminded of all the bad things I had said or did through the day. Growing up I went to bed with the light on and the door opened because I feared the boogeyman. That fear would lead to other fears. There was a show that came on TV when I was a kid. The show was named “Dark Shadows” where the lead character was Barnabas Collins a 175-year-old vampire in search of fresh blood and his lost love, Josette. That show would put a fear in me like none other. Then, there was this movie named Trilogy of Terror that had three stories interwoven together. The first, about a college student infatuated with his teacher. The second, a paranoid tale of two sisters – one good, the other evil, and the third about an African tribal doll that comes to life and terrorizes a woman in her apartment. It was that third story about the African doll with a knife coming to life terrorizing that woman in her apartment that would have me running and hiding. I’m glad to know that as I learned the difference between what was real and what was imaginary, then all of my fears moved out. I’m glad to know today that all I feared was fictional and imaginary. I’m glad to know today that the same understanding of knowing what’s real and what’s imaginary will help you to move out your fear and move in your faith. I’m glad to know that you can grow, when you know. That’s why we can say what the scriptures say. I submit to you right now that you have a moving party. Call the movers, invite your friends over and pack up the boxes of fear, load up the truck and send fear on it’s way and let your faith move in.